What is a Cyber or Computer Crime? Cyber crimes include all illegal activity involving computers, their systems, and networks. 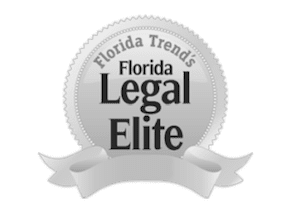 Many crimes formerly prosecuted as white collar crimes now fall under Chapter 815 of the Florida Statutes. With it being such a broad statute, it is not uncommon for someone to face multiple stacked charges, for which a conviction may equate to decades in prison. To better your chances of having charges lessened or dropped altogether, you should seek the services of an Orlando cyber crime lawyer. Defense against cyber and computer crime charges requires representation from an experienced and aggressive defense attorney who knows how to handle the high-tech evidence involved in these cases. At The Umansky Law Firm, we conduct in-depth investigations, often with the help of computer forensic experts. We build strong cases designed to protect you from the severe repercussions that can come with a cyber crime conviction. Our lawyers represent clients from Orlando and throughout Central Florida. Contact us to schedule a free initial consultation. Each offense warrants a specified minimum sentence that the judge may apply at his or her discretion. Our experience also allows us to handle unique cases, including harassment, stalking and domestic violence cases that involve the use of e-mail, instant messenger, Facebook, Myspace, Twitter and other social networking platforms. To schedule a free initial consultation with a criminal defense lawyer, contact us via e-mail or call (407) 228-3838.